Primavera® P6 Online training for aspiring Project Managers and Consultants! The Primavera® P6 online training covers concepts related to Work Breakdown Structure, Budgeting, Relationships, Scheduling and Baseline. Students gain expertise in managing projects through Primavera® software, including tasks like adding activities, assigning resources, and calculating issues and risks. After completing the Primavera® online training, students receive the Primavera® training certificate from Multisoft. Primavera® is revered as Project Portfolio Management System for the enterprise. It started as a standalone company, Primavera® Systems – back in 1993 and was purchased by Oracle in 2008. This is not a single product but a suite of products that help you manage the project over its entire lifecycle. Conclusively, these products can be used to manage risk versus reward, budget and resourcing among variegated deliverables. This is the term used by Project Management professionals to identify methods to analyze and collectively manage a group of current or proposed projects that are based on variegated key characteristics. Under Portfolio Management, the fundamental objective lies in sequencing of proposed projects to best achieve the organization’s overall goals that are typically expressed in terms of business strategy goals, technical strategy goals and hard economic measures, while honoring constraints imposed by external real-world factors and management. Program Management is focused on coordinating and prioritizing the resources across projects, minimizing the overall costs, and managing links between the projects and risks of the programme. Program Management necessarily operates at a level above individual projects. Both P6 PPM and P6 EPPM provide the ability to group projects into "portfolios". But this is simply a mechanism that assists in simplifying access to specific groups of projects. A portfolio can be defined to contain projects within a specific programme, and reports can be produced for the portfolio/program as a whole. There is a lot of confusion in the market place about these two products from Oracle. P6 Professional can be used as a standalone application accessing a locally installed database such as Oracle XE or Microsoft SQL Server Express. Moreover, this software solution can easily access a central database and can be used as a multi-user system, when data needs to be shared with others. On the other hand, Primavera® P6 EPPM is a Web Browser-based enterprise-wide project management system that is focused on servicing a wide range of roles from executives to team members. Although it is based on the P6 Professional system, it is much more focused around the enterprise as a whole, offering additional capabilities as timesheets (also usable with P6 Professional), team member updating tools, and integrated reporting with Oracle’s Business Intelligence Publisher and P6 Analytics. What is the current release of Oracle Primavera®? Version 8.4 of Primavera® P6 Enterprise Project Portfolio Management released by Oracle in April, 2013 is the current release. Used not just by Project Planners, but also Project Managers, Schedulers, Engineers and anyone involved in planning, reporting and management of a project, Oracle Primavera® Project Management ensures best-in-class solutions to manage the entire project portfolio lifecycle. Learning the software, lands you to better job prospects; thereby accelerating your career graph. It is advantageous to set yourself in a Primavera® P6 formal course and practice the software, no matter which field you belong to. If you wish to expand your project, you need to make it more manageable. Read on https://www.linkedin.com/pulse/project-management-software-maturity-model-improve-academy and learn more about how can you utilize and implement Primavera® P6 solutions to benefit your organization in a smarter and better way. Do I need to get a license of the software for attending Primavera® P6 training? No, you don’t need to get the license of Primavera®, as there is a 30-day trial version available for the same online. During the process of training, you will be guided on how to install the software. Once that 30 day-limit is crossed, you need to uninstall the software and purchase a licensed version. Multisoft Virtual Academy assists you to get access to a corporate version as you are most likely learning Primavera® for use on-the-job. Do I need to purchase Primavera® P6 software in order to take your training? No. There is a free trial version of Primavera® P6 software that you can use and download for 30 days. You need to know that the free version of P6 is to be removed once the limit of 30 days exceeds. Copyright defilements are subject to fines as high as $150,000. Register with us, and contact our expert Program Managers to know more. You can also request for a free demo now to get a deeper understanding of your queries. Visit http://www.multisoftvirtualacademy.com/Primavera®-online-training.php Typically, the exams have 60-70 questions that are to be answered in 90 minutes. These are multiple choice questions - often asking you to pick 2 of 5 answers, or 3 of 5. Check out the Oracle Certification website for specifics. All Oracle exams are closed book exams. No notebook computers or written material are allowed in the testing area. Questions appear in usually three kinds of formats - multiple choices, fill in the missing word, or match these against those. Write to us @ info@multisoftvirtualacademy.com to schedule your Oracle exam now! Do you provide the Primavera® P6 software? No, but assistance and instructions to download the same from Oracle’s e-delivery web site for free (subject to Oracle’s terms and conditions) is certainly provided by us. Other than this, we also ensure that you install it in your PC without any hassle. Why should I consider implementing Primavera® P6? Is it better than MS Project? Research analytics declare that more than 375 of 400 top engineering companies in the USA use and benefit from Primavera® P6 software. Additionally, the software is widely demanded across variegated military and federal agencies. MS project is also being used heavily by the companies with a limited project cycle and lower work load. Read MS Project or Primavera® P6- Which should be your pick? to make a better researched decision at your part. No. Oracle Projects are a part of their Oracle E-Business Suite (EBS). Undoubtedly, Primavera® Gateway can be used to integrate the two, but they have separate domain & bifurcated purposes and integrate well to offer more complete coordination and analytics. Can I use Primavera® Contract Management to manage contracts? Well, the name is often confused. This is not a system for managing contracts, it is rather meant for managing construction projects, wherein the project for each team is considered a contract. This enables you to track performance, issues, costs, and documents among other elements. Moreover, smooth collaboration between teams is also ensured with the software. 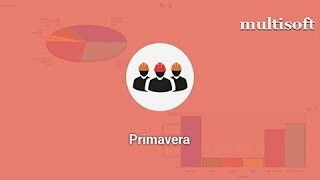 Primavera® Project Management software is applicable in variegated industries, including Civil, Aerospace, Telecom, IT, Manufacturing and Electronics. What are the factors based on which P6 Services affect performance? You should have at least 4 GB memory in your computer to run Primavera® P6. Although, we recommend you to increase the memory to 6 GB in order to avoid any hassle or problems of speed or connectivity. Who all can attend Primavera® P6 training program? The ideal participants for Primavera® P6 training program include Structural and Project Engineers. The class is however commonly streamlined for individuals, who want to use the Primavera® software for effective Project Management. Visit http://www.multisoftvirtualacademy.com/Primavera®-online-training.php and read on to know the course inclusions and training details. The courseware is usually preferred by professionals aspiring to work as Project Managers, Event Organizers, Project Planners, Consultants and Financial Project Analysts. Can I see a demonstration of Primavera® P6? If you or your company are looking for a PPM (Project Portfolio Management) system and have never seen Primavera® in action, then Multisoft can meet with your team and conduct a demo of P6. Simply register with us @ info@multisoftvirtualacademy.com and feel free to contact us to arrange one.You can also opt to enroll your employees in our Primavera® online training program and make them more competent with variegated Primavera® capabilities. You can also opt to enroll your employees in our Primavera® online training program and make them more competent with variegated Primavera® capabilities. Can I still get Primavera® P6 certified if I take online training? Yes, you can definitely take the certification exam for Primavera® P6 as prescribed by Oracle. The online training that we offer is identical to the classroom sessions, with the same courseware, practical knowledge and practice exercises. Moreover, with our Instructor-led Live Online Training, you get in touch with our instructor directly and can clear doubts as and when required. What are the reports that come with Primavera® P6? There is a complete library of text reports that can be scheduled to run as a batch with Primavera® P6 PPM. Additionally, you are provided with an option of developing custom reports and print out graphics such as resource histograms or Gantt Charts from the appropriate view. There is an additional library of reports designed to operate within Oracle BI Publisher via a Restricted Usage License (RUL) for BI Publisher available with Primavera® P6 EPPM. These can be scheduled to run periodically or triggered on demand from within the web client with their results available for view. What is Primavera® Reporting Database? Oracle introduced the concept of a reporting database external to the project management database, optimized for reporting purposes. This contains fields for storing calculated values. In the versions prior to R8.1, there stood a requirement of an administrator to set up several additional databases and configure standalone scripts to carry out the ETL (extract, transform, and load) operations. This was for creating and updating of the reporting database. From P6 EPPM - R8.1, the reporting database diagram forms a complete part of the standard EPPMDB database, and the scheduled publishing of data is administered from within the product. Any external reporting tool (for instance, Crystal Reports or PCF's QEI Management Reporting) can be used to extract data from it, once the data publication to the reporting database has been configured. Undeniably, this is quite common. The Primavera® Gateway ships with a connector for SAP as standard, and connectors for other ERP systems are also available. Can P6 be interfaced to an Asset Management system? What does the term Licensing Model for Primavera® mean? Each user requires a unique license in an Application User License. Under this process, there is no license sharing where the number of simultaneous users is counted. You may get a 30 day trial license that tends to work well for testing out the software or if you need a temporary license during a training class. If you plan to buy a term license, keep in mind that the same will get expired at the end of the 1-5 year term. Also note that you can purchase a perpetual license that will never expire. The term licenses are cheaper than the perpetual ones. We want to buy Primavera® software. What do you mean by a “perpetual” license? Oracle’s Primavera® software licenses expire after one or more years unless you purchase a perpetual license. As you can imagine, an expiring “term” license is cheaper than a perpetual license. The latter is good for as long as you want to use the software. Contact Multisoft Virtual Academy that assists you to get the software, if you wish to have one! What are the learning elements that I will be credited with Multisoft Primavera® P6 Online Training? What are the major things that I need for Primavera® P6 online training? Is the content of live virtual classes provided by MVA different from in-class training? No. You don’t have to worry about that. Live virtual training content is identical to the traditional in-class training. The same topics are covered in the same amount of detail. Instructor-led Live Online Training poses multiple benefits with cost and time being the primary ones. Instructor teaches in the same classroom manner, with aids like whiteboard, text chats, video calls, screen sharing and anything else required for a seamless knowledge session. Moreover, as a working professional you have complete flexibility of attending classes from wherever you are. Assessments, mock tests, assignments and multiple practice questions are available in the data bank to ensure that our students ace in the very first exam attempt. Project your level of knowledge and areas of improvement @ http://www.multisoftvirtualacademy.com/assessments-and-mock-tests.php These mock tests are time-based that are available on the Learning Management System (LMS). At the end of each test, the LMS provides students with the correct answers and their explanations. Moreover, a detailed report shows the complete analysis of your proficiency and areas of development. Just give us a call at 8130666209 or write to us @ info@multisoftvirtualacademy.com.